In this era of internet and technology social media is also playing most important role because through this way you can easily stay connected with your desired people. But the use of social media is also increased than before because social media is being used for professional purposes, in this regard there are many platforms where you can perform your social activity, that’s why there are many tools of social media. It is a hard job to argue against the worth of Twitter these days, especially for businesses and professionals aspects. If you want to improve your Twitter experience then today I am going to share some useful tools. So, if you aren’t familiar with Twitter then here I’d like to say that Twitter is an online social networking service and micro-blogging service that allows you to send and read text based messages of up to 140 characters. Now you can use Twitter in a more amazing way because these Twitter friendly tools make you a perfect user, just use below Twitter tools and become a power user. 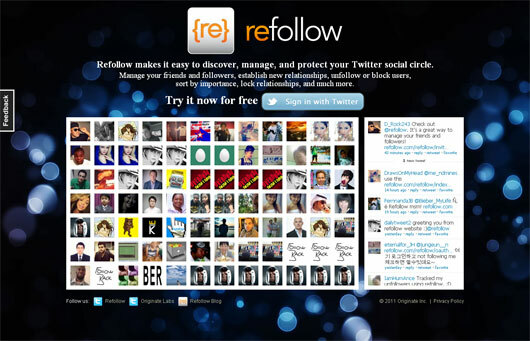 Very ideal tool to manage your Twitter profile because Refollow makes it easy and simple to discover, manage, and protect your profile. You can also easily handle your friends and followers, establish new relationships, unfollow or block users. Just try it now for free and become perfect user of Twitter. If you want to build professional relation on Twitter then you should use Commun.it because it’s the perfect thing on the subject matter. 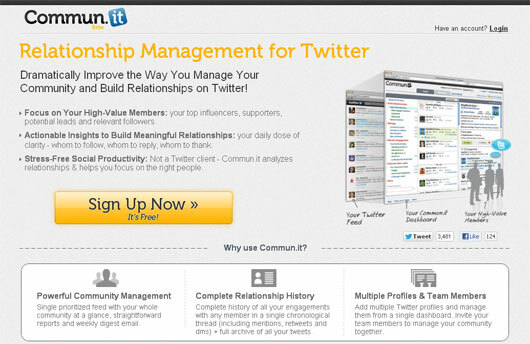 Now you can radically get better the way you manage your community and build relationships on Twitter. Because you can easily focus on your high value members using this facility. 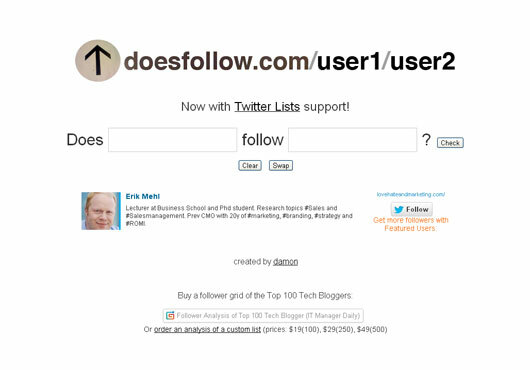 There is one dream of every Twitter user to have more visitors, you can use Doesfollow because for the every Twitter user its one of the most useful thing. Because now you can find out, who follows whom on Twitter in this way you can stay connected with your Twitter account in a more realistic way. To share things Twitter is an ideal place where you can share different wonderful stuff, for this purpose you can also use Twileshare. Basically TwileShare is a free service that allows you to share files on Twitter its very easy for you to upload and share anything from images, documents, PDFs, ebooks and more. 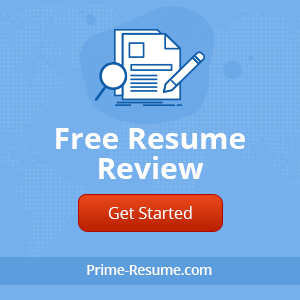 If you are looking for a comprehensive tool to manage your Professional Twitter account then you should make use of Twibs. 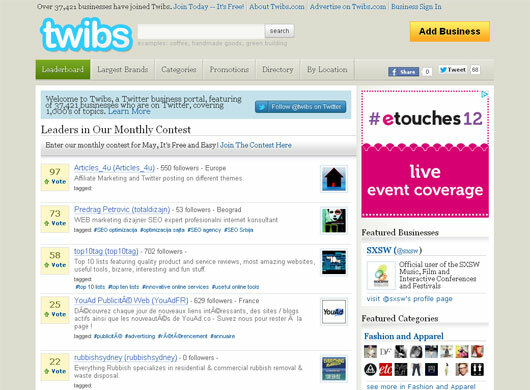 The usage of Twibs allows you many wonderful features because it’s the Twitter business portal, featuring of 37,421 businesses that are on Twitter, covering 1,000′s of topics. 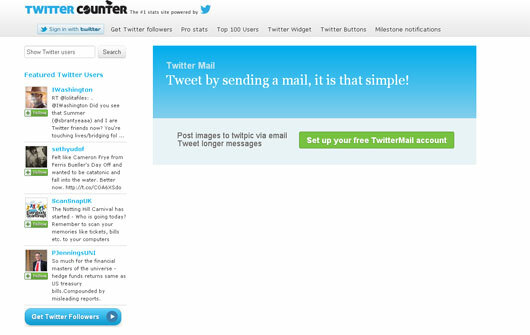 If you want to use your Twitter account in a pretty amazing way then you should use TwitterCounter because now you can easily do tweet by sending a mail, it is that simple as you can thought and everything in on your fingertips. You can also post images to twitpic via email and tweet longer messages. 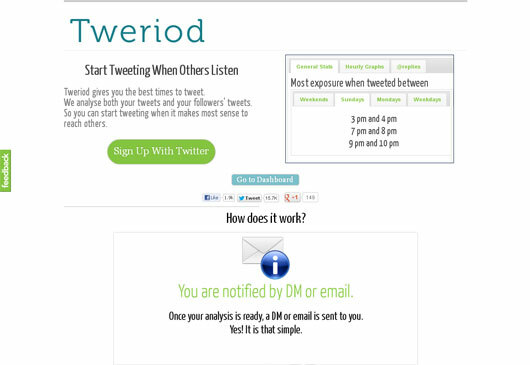 Now you can tweet on the posts in very affective way because Tweriod is able enough to provide you the best times to tweet. Using this useful technique you can also analyze both your tweets and your followers’ tweets. You can also start tweeting when it makes most sense to reach others. In this busy life nobody has a proper time to manage the future in the present because all and sundry has a busy routine life. 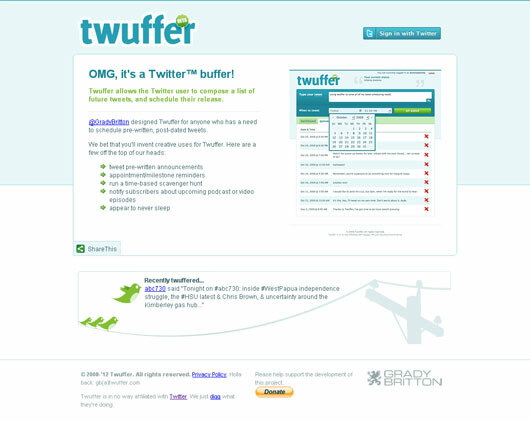 But now you can make proper time table for the future activities of your Twitter account, because Twuffer allows the Twitter user to create a list of future tweets, and schedule their release. including me there are many people who like to use the social media to share videos and pictures but now you can share your photos and videos on Twitter in more successful way using twitpic. 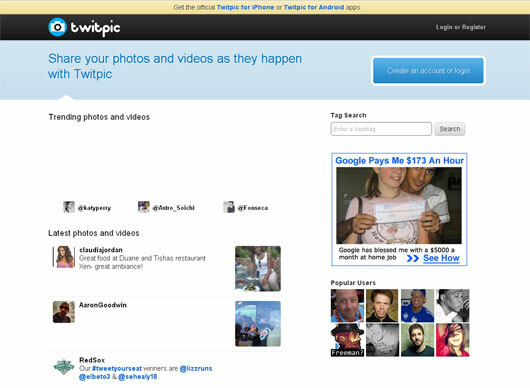 We can say that twitpic allows you to share your photos and videos as they happen with Twitpic. Now you have a chance to use Twitter easily using tweetymail because now you can tweet via email, send and reply to Twitter direct messages, follow users. Using tweetymail you can also create custom email alerts for tweets, mentions, Twitter lists just receive powerful and detailed notifications for new followers and direct messages.